Q: Damian, what’s in your rack and why? The last time I had a paying gig, I could just roll in my Acoustic 360, plug in, and play. Now I’m trying to get back in to playing just as a hobby. What do you need for today’s amplification? A: Personally, I’m an Aguilar guy. I have both a Tone Hammer 500 and an AG-500 and will typically choose the one that’ll work best for the room I’m playing. I usually run them through either my DB-410 or through one or two DB-112’s. I occasionally play with a tube pre-amp that a friend made me, and I’ll run that through the effects loop of the power amp. That’s primarily because I only have solid state stuff right now, and I like to throw some tube gooey-ness in there for certain gigs. What you need really depends on your playing situations. Personally, I play at least 200+ gigs a year with dozens of different bands in every kind of room, so I need to be versatile with my setup. I try and cover all of the bases, so to speak. There are a number of good combo amps (amps wherein the power amp and the speaker cabinet are one unit, self-contained). If you are pretty much only going for one type of sound in a limited number of settings, this might be a fine way to go. Aguilar, Ampeg, MarkBass, TC Electronic, Marshall, Eden, Hartke, Genz Benz, Fender, Peavey… almost every bass amp manufacturer has a combo amp available. Often, a 300 watt head paired with a 112 or 210 will get you through most situations. I prefer to mix and match my cabs so I can be as small or large as I want for any given room. For this reason, I have an assortment of cabs (10 and 12 inch speakers), a rack with my AG-500 Aguilar head and a rack mount tuner, a pelican case with my TH-500 head, and a rack with my custom tube preamp for when I want to run through that for that kind of sound. For the most part, my set up is pretty basic. I only just started throwing a tube pre in the mix for gigs that would benefit from it. I intend to buy a DB-751 again when I can – fantastic sounding hi-power stuff. Get a good amp. I wouldn’t bother going separate pre and power sections unless you really know what you want. I would suggest a minimum of 500watts at 4 ohms. With a 112 or 210, you can have a nice smaller rig for restaurants and rehearsals without having to roll your “refrigerator” rig out with you every time you play. Plus, with the addition of one more cab, you’ll be able to cover any loud-volume gigs you may have. Two 112’s (or a 210 and a 115) sound fantastic to my ears. Now, which amp is a whole other discussion and one that ultimately you will have to explore for yourself. Be sure to read up on power amps, ohms, speaker loads, and so on, to make sure that you don’t accidentally over drive your new head. I melted the board on my Eden WT800 years ago when I first started touring because I just kept adding cabs to it and was running it way harder than it was meant to be run. I eventually destroyed the amp out of ignorance after a few years. I’m amazed it lasted that long now that I understand what I was doing. Here is a great article about how to match your amp head and cabinets too. Readers, what do you recommend? I’d love to hear your thoughts and suggestions. Share them in the comments. For me, size and weight trumps all other considerations these days. Much as I would love showing up with a Mesa 15 and 2×10 rig, I sure as hell am not going to lug that to 200+ gigs a year. I’m a big Markbass fan right now; gotta love a 300+ watt amp that keeps up with a rock band, and you can lift with your pinky. 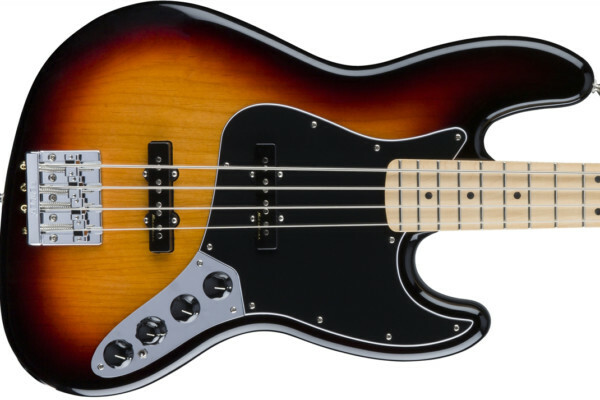 IMO, the whole Class D/neodym thing is the best thing to happen to bass players since the P Bass. Markbass is the way I went as well. Solved my weight and power issues I struggled with for 20 years. I split the cabs: a 1/15 (very light) and a 2/10. I have an SD 800, 6 lbs. and 750 watts. Don’t get better for me. Now I just have to get the courage up to find another band. THis may not be an issue for Damien but it is for me sometimes, I play 200+ dates a year and size of stage is an issue, I have 2 rigs, SVT 3 pro with a SWR 4×10 son of goliath, and a mack bass 12. both sound great and have entirely different footprints. I have done a gig with just the small mark bass and it worked like a champ. Depends on the room and the size of the stage as well as size of the room. – impedance of the head vs. the impedance of the cabinet. If you’re playing a head that’s rated 300W at 4 ohms, but are only using an 8 ohm speaker (the default for many combos, so that they can have an extension cabinet attached to them to bring it to 4 ohms), you may be running at about 160-170 watts. Depending on the input signal and how you like to EQ your sound, that might get lost in a mix. 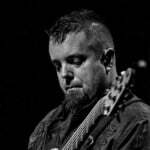 I play probably 100+ shows a year, and picked up a MarkBass 121 combo + 12″ extension cabinet. It’s been just about perfect for everything. Small gigs don’t even warrant the extension cab. For gigs where I want more depth in the low end, I can remove the head from the combo and pair it with the cabinet from my previous rig, a Carvin NEO 410. The head with do 500 watts at 4 ohms, and the Carvin cab will handle up to 1200 watts. I have noticed, the older I get, the more tired I am of carrying around a huge amp that isn’t needed to fill a room. Now with a 1×12 combo and 1×12 cab, every gig is made to order and crazy easy to lug. After selling my Hartke head and 4×10 cab I avoided buying an amp to lug around for ages and just used DI, eventually I started trying out the various combos at the practice room we use, ended up finding one I liked (some old 300watt Fender combo) and picked up the same one second hand mint of PreLoved for a bargin. Eventually I’ll actually spend a bit more money on a proper rig again, but for the odd show and rehearsal its been great. 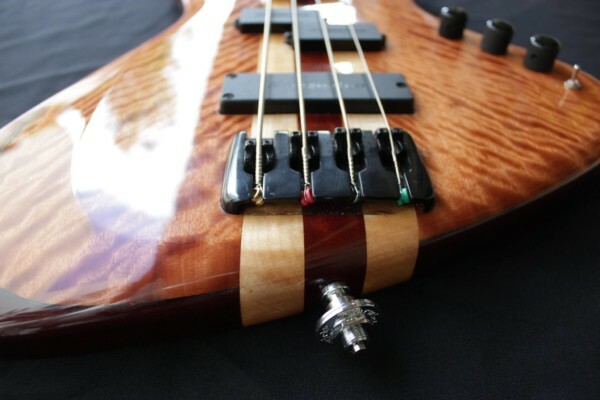 I have always had real good performance from Carvin heads for the past 20 years. Now that I’m in my 50’s portability has become very important. I’ve recent switched to the RevSound RS410T. It sounds great and is easy to haul. I’ll switch my Carvin in and out of the bridged mode (400 watts/1200 watts) depending on gig. The cabinet works well in either mode. After all these years Markbass LMIII, 121H or 4×8 or 4×10 cabs depending on the venue, or GK MB Fusion into a GK Neo 212 cab does it for me. Fun to see so many MarkBass comments in here. Same for me, I’m done with lugging 150lbs of gear around. I use the MarkBass amp with a 2×8 Fender cab and 1×15 Yorkville cab. Excellent combination for me with nice rounded lows and punchy highs. It’s big enough for larger stages. Although I do have a 4×10, I usually leave it with its 92lbs in the rehearsal space. I double on upright for most gigs, so a dual-channel solution was a must. I finally picked up a Phil Jones Bass Suitcase + a Piranha 4B extension, and it’s absolutely perfect for my needs. The combo alone is 225 W and loud enough for rehearsals. Adding the extension cab brings it up to 375 W which is enough power for most venues I play (and for everything else, there’s always mics and/or the DI on the amp’s back panel). Most of all, it is the most transparent amp I’ve tried so far: through it my upright sounds…well, exactly like my upright, only louder. I have an SVT-2PRO 75 pounder and 2 Hartke 410-XLII cabs. It doesn’t see much stage time anymore. I have an old transistor amp I mainly use for home practice with a 1×15 cab. When I run a sansamp, it gets a decent sound, but not quite pro. I am looking at getting an Orange Terror series 500w head. It will run any combo of spkrs I can through at it, and, well, sounds mint! High power, excellent tone, super light weight. depends on the band,gig,venue.my favorite sound comes from an old peavey tx 2-10 combo.I put in some 10s’ from an old orange cab,it’s loud,clean and clear,and weighs 125 lbs.my main problem is I’m usually in a situation where I’m backed up against my amp,whatever I use,4-10,2-10 or combo is aimed at the back of my legs.for this I use a 2-15 seimac,less than 50 lbs,36″x20″x16″ under an old hartke head.I can hear,feel myself at a lower volume. I like the 210-115 pairing, for the same reasons described above. As far as heads go, my Gallien-Keuger was the handiest head for playing out I ever owned. I love the TC RH750 for the flexibility, compressor and inboard tuner. I agree that having a few 1x12s is a great way to go. I just want the smallest & cheapest combo I can use in a club/cover band. Add envelope filter DI and boost & I’m done. If I only I had time and ability to try them all or ask everyone’s opinion!!!!!!!!!!!!!!!!!!!!!!!!!!!!! i have myself an old Peavey Mrk VI head that does me wonders, versatile (max 400w @2ohm). not bad for £120 scond hand. i always get told to turn down…. I am surprised that no one has mentioned that an amp is really there to amplify the sound produced bass by you and your bass. No backline is going to compensate for a bad signal. Good signal gets better with a good amp. Right now, I’ve been using a RH450 or 72 SVT into either 2 single 12″ cabs or a 4×10 and 1×15. Still, I view my amp as a way to get volume on stage, the tone isn’t happening there. My main is the Ampeg SVT 6×10 Cab with a vintage Acoustic 140 head. Then for practice or small gigs I have an Orange 1×15. I didn’t pay over 2 grand and I’m pretty damn happy. I guess I’m old school, SWR sm500 and a Goliath III @8ohms get it done all the time. I plug in 3 cords and I’m ready. I used to have a Goliath jr and would like to get another as that is a cool small stage rig. Unless I missed it, no one commented on Genz Benz. They make absolutely killer amps! I run a Shuttle 6.0 through two Gallien-Kreuger Neo 112 IIs, or use one cab for smaller gigs. The question mark is now if Fender will allow more GB product or kill them like they did to SWR. I have the monster 300W 15 in. speaker Behringer combo that I use for large venues, but I mainly use my Orange 50W combo for most gigs, since they are smaller venues and I don’t need that much power. I have a 15W Fender Rumble I use for practice. My electronics set up is currently a very versatile Ashdown tube preamp feeding a QSC PLX1602 (1600 watts @ 4 ohms mono-brideged) and the small gigs get my Acme Sound Acme Low B while the large (20 x 40) stages get my Hughes & Kettner BassBase 4×10 & 2×15 stack. Love ’em! Ampeg PF350 and Fender Rumble 410. Cheap, somewhat easy to lug around and sounds perfect. I play mostly upright in a 16 piece swing band and occasionally use my bass guitar. I’m using an old Peavey KB/A100 which sounds great but weighs a ton. I’m looking for a simple combo that’s light with plenty of power. Any suggestions? I’ve got Ampeg SVT4 Pro + Ampeg 410 HLF for big concerts and Ampeg BA115 combo for small venues and rehearsals – it’s good gear but imo I must find a better stuff for my StingRay cause i need clearer sound but with strong bass, growly round middle and nice but not harshy treble. 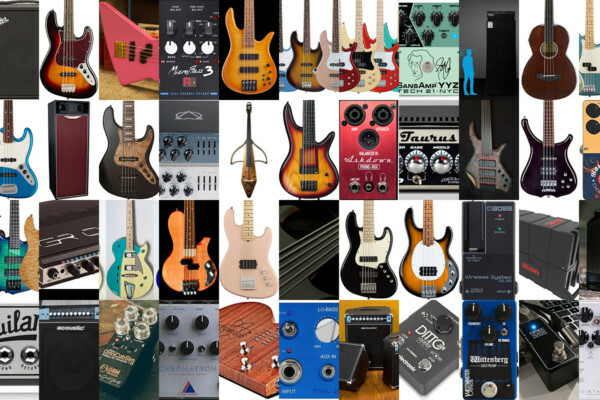 Maby Aguilar, Markbass or TC Electronic would be fine ? Recently replaced my SVT with a 500 watt powered sub and a pair if JBL Control 2Ps and just love it when people look around for my “BIG-BASS” RIG! – HaHa! This rig weighs about 45 pounds and is supplemented by my Ampeg “SVP” Pro All-Tube Bass Preamp and a Korg DTR-2000 Digital Rack-mount Tuner.